Tess da Costa is a saint--a hand-to-god, miracle-producing saint. At least that's what the people in her hometown of New Avon, Massachusetts, seem to believe. And when Tess suddenly and tragically passes away, her small city begins feverishly petitioning the Pope to make Tess's sainthood official. Tess's mother is ecstatic over the fervor, while her sister Callie, the one who knew Tess best, is disgusted--overcome with the feeling that her sister is being stolen from her all over again. The fervor for Tess's sainthood only grows when Ana Langone, a local girl who's been missing for six months, is found alive at the foot of one of Tess's shrines. It's the final straw for Callie. With the help of Tess's secret boyfriend Danny, Callie's determined to prove that Tess was something far more important than a saint; she was her sister, her best friend and a girl in love with a boy. 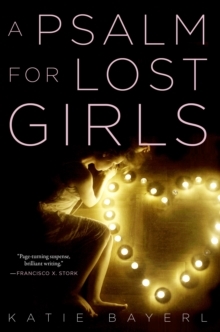 But Callie's investigation uncovers much more than she bargained for--a hidden diary, old family secrets, and even the disturbing truth behind Ana's kidnapping. 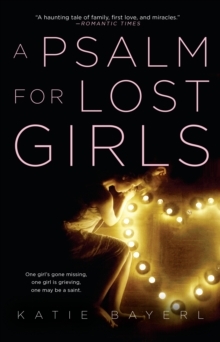 Told in alternating perspectives, A Psalm for Lost Girls is at once funny, creepy and soulful--an impressive debut from a rising literary star.